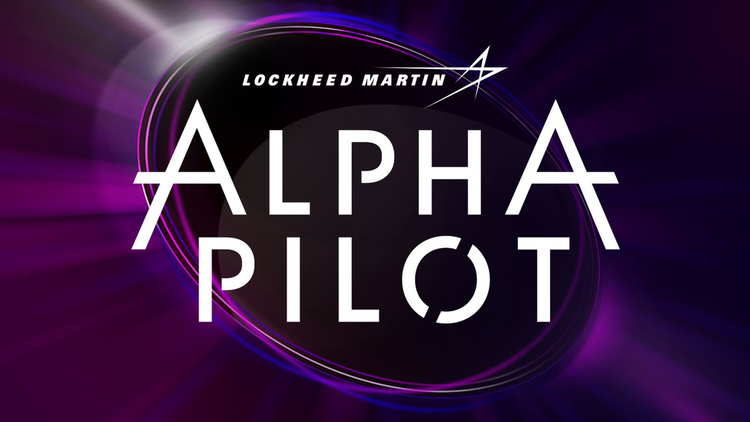 The third component of AlphaPilot qualifications will focus on a team’s ability to design algorithms for the guidance, navigation, and control (GNC) of an autonomous drone. The test will utilize a simulator framework that provides users with the tools needed to test their drone racing algorithms using realistic dynamics and exteroceptive sensors. These skills are essential for competition in AlphaPilot and the test is considered a precursor to work conducted by Finalist teams in preparation for each AIRR race event. We want to ensure that all teams get the best chance to format their Test 3 submissions correctly given the new guidelines below, and as such, we have decided to make a final extension of the Test 3 deadline to Friday, March 22nd at 5:00PM EST. As a few updates were made to the simulation, we suggest all teams pull the latest version of FlightGoggles from GitHub. Further details about submission and testing requirements are added below. Most importantly, teams should note the maximum upload size of 1GB for submissions, and additionally, the Test 3 testing environment will have ROS Kinetic, OpenCV 3.4, and FlightGoggles already installed for teams. Otherwise, this testing environment is as previously described and is an instance of Ubuntu 16.04.5 LTS running in AWS type p3.2xlarge. For more details on the evaluation, resources, algorithm and submission requirements, and testing, please read the following sections. A summary of the most frequently asked questions on the Test 3 Forum Questions page and their responses will be continually added to the new ‘FAQ’ section at the end of this tab. Updates will be posted as needed. Otherwise, teams should submit their algorithm source code archive and technical report by March 22nd! Good luck!! ** Please note Test 1 and Test 2 are due on March 8th. Only Test 3 is due on March 22nd. The GNC algorithms must be capable of navigating through gates (see Figure 1) in a FlightGoggles challenge course. The objective is to pass through all gates in the defined order, as quickly as possible, without crashing. Figure 1: Shows a screenshot of an example drone race course in MIT’s FlightGoggles Simulation. Since algorithms are tested on 25 slight variations (“runs”) of the same challenge course, the Racing Score is then calculated by looking at the best 5 runs from the 25 and averaging them. Since it is possible to hit obstacles and crash, simulator runs with a crash or object strike will receive 0 pts. This averaged Racing Score is reported on the Leaderboard and scaled slightly for the Final Algorithm Score, so the best team receives the maximum allowable 70 pts. Each team’s Technical Report Score (max 30 pts.) is based on a rubric evaluated by judges from academia, industry, and government. The judges will review each report for technical merit, applicability to AlphaPilot, and presentation and clarity of the approach. Test #3 is built on the Massachusetts Institute of Technology (MIT) FlightGoggles simulator, a first-of-its-kind virtual reality environment for drone research and development. MIT has modified FlightGoggles to include software for a drone racing simulation environment based on the Unity3D game engine. It includes Robotic Operating System (ROS) binding for integrating autonomy software and Unity assets for environments that resemble drone racing scenarios. The simulator emulates a high-performance drone racer with high pitch rate and collective thrust command inputs. Note that this drone is not an exact model of the one used by AlphaPilot in AIRR race events. A Vehicle Dynamics node will keep track of the simulation clock and adjust the simulation clock ratio, which can be seamlessly lowered in real-time if the host computer is unable to provide real-time performance due to high-load or can be raised if faster real-time simulation is desired. More details about the drone (vehicle dynamics, sensor models, specifications, etc.) will be added to the GitHub repo. The simulator environment includes several pre-developed challenge courses and an open-map course creator for easy development and testing. Teams can use both resources for practice and may submit performance data on a Leaderboard Challenge Course to be included on a HeroX Leaderboard. The Final Challenge Course files will be developed by the AlphaPilot administration and kept on a separate instance. This course will be used for scoring submitted algorithms and determining teams final Test 3 Algorithm Scores. The simulator is equipped with a Reporter node that tracks ground truth information and outputs, via command line, and yields metrics on algorithm performance as a Results YAML File for each run on a Challenge YAML File. The file will contain metrics on drone performance attributes useful in logging, evaluating, and visualizing algorithm performance. Interrupted: If the grader process is interrupted, e.g., via ctrl+c. Completed: The drone passed through the last gate in the sequence. The Reporter will also keep track of when the drone reaches each gate and record the time. If a gate in order is skipped, then the grader will put down “Success: False” for that gate. With the Leaderboard Challenge Course files, teams have scripts to help with scoring the Results YAML file and outputting a Scores YAML file. See the included ‘Scorer Scripts’ in the challenge files as well as the README_v2.md file for more details on running these scripts. Teams may submit their Scores YAML file of their summarized results for scoring and placement on the Leaderboard. The Final Challenge Course files will not be released to teams and will be used to evaluate each team’s algorithm and determine their final FlightGoggles score. See the ‘Testing’ section below for more details on Leaderboard and Final Testing. Teams may file a report on the simulator GitHub page if they encounter any bugs or errors. Issues will be addressed by the MIT team as quickly as possible. Any specific questions about the AlphaPilot Test 3 challenge should be posted and addressed on the HeroX Test 3 Forum page. Challenge_Leaderboardtest.zip\ChallengeLeaderboardtest\launch – scripts to score Results YAML file and output Scores YAML file. README_v2.md – contains challenge installation instructions, scorer usage guide, and list of allowed and prohibited information for Test 3. (2) Technical Report of the drone racer in PDF, maximum 2 pages. Team archives must contain and edit `scorer.launch` to include all ROS nodes required for completing the challenges. This will be the launch file used to run your team’s algorithm. If desired, teams may include an install.bash file which can be run to automatically install algorithm dependencies. Your install.bash file can run commands such as catkin build, rosdep, etc. as needed. Alternatively, teams can include compiled libraries in their archive as noted below. Please note the limitation on installation time of 1 hour. Teams can include additional code anywhere in the archive as needed for your algorithms to run. This can be compiled libraries, source code, etc. Note that the testing environment will have ROS Kinetic, OpenCV 3.4, and FlightGoggles already installed for teams so no need to include those. As a reminder, the judges will have access to teams’ submitted source code to help them understand the technical approach taken for Test 3. The AlphaPilot team suggests that if there are any concerns with IP, then that IP should be compiled into an executable that is called from your source code and that executable should be included in your archive. However, by abstracting functionality away in executables, it makes it more difficult for the judges to verify that teams have the technical skills and capabilities to succeed during the AlphaPilot Competition. As a result, please balance your team’s individual needs to obscure IP with building transparency of your approach. Teams must develop GNC algorithms to fly the simulated drone through a structured test environment utilizing a typical ACRO/RATE flight mode for control inputs and only on-board sensory feedback. As is typical in drone racing, teams know the approximate locations of their starting point and the gate locations, and they must deal with slight variations during the actual race. In Test 3, teams are challenged to create a single algorithm that can be tested on 25 slight variations of the same Challenge Course. Teams are given Challenge YAML files on which teams will be tested that indicate the location of the initial conditions for each exam. For Leaderboard Testing, teams are given all 25 Challenge YAML Files and self-report their scores. For Final Testing, teams are not given the variations on the Challenge YAML Files, and their algorithms will be run and scored by HeroX. Noisy downward-facing laser range-finder to aid altitude estimation. The laser range finder points in the negative z direction. Its measurements are defined in the drone body frame, and thus range measurements will have a negative value. Using these sensory inputs, teams are permitted to conduct any processing that they desire. No visual-based obstacle avoidance is necessary (course paths are mostly clear of obstacles). That being said, it is possible to crash into things and fail the run. Note: AlphaPilot is aware that it will be possible to back-out the exact global 3D locations of gates. Teams are not allowed to utilize this data in their algorithms, and any teams that do so will be flagged during judging. Algorithm entries for the Final Challenge Course (see more details about ‘Final Testing’ below) must be submitted as source code before the final deadline. The final submission form will contain fields for attachment of a zip file of your code archive and technical report. Entries to both the Leaderboard and Final Exam must be submitted using the Test #3 entry form provided on the AlphaPilot HeroX website. Entries for the Leaderboard Challenge Course must be a single Scores YAML file and submitted as an attachment. This file contains scores from all 25 Results YAML files and is used by HeroX to calculate teams Leaderboard Algorithm Score (where top 5 scores are found and averaged). Algorithm entries for the Final Challenge Course (see more details about ‘Final Testing’ below) must be submitted executable programs as well as source code before the final deadline. The final submission form will contain fields for attachment of a zip file of your executable code, source code, and technical report. See the ‘Testing’ section for more details about how algorithms will be tested. How the team plans to build onto or modify their drone racing algorithms for use in the AlphaPilot competition should they qualify. Any technical issues the team ran into and how they overcame them. Reports need to be in PDF format and 2-pages maximum, single-spaced. Font size should be minimum 11pts. Insertion of text, equations, images, figures, plots, code, and pseudo-code is accepted but will be included in the 2-page limitation. The Leaderboard and Final Challenge Course are now out! The Leaderboard represents a practice exam and will give teams a rough idea of how well they will ultimately perform. Please note HeroX AlphaPilot will only accept leaderboard submissions at this time, and there is no need to submit source code until the final deadline. Challenge 3 is modeled to closely resemble a real-world FPV drone racing scenario. As such, participants know the nominal gate locations from their practice rounds. However, at race time, the actual locations of the gates may be slightly perturbed (unknown to the participants). Similar to human FPV racers, autonomy algorithms should also be able to navigate even when the gates are slightly perturbed. For the challenge, this robustness is addressed as follows: The nominal gate locations are available for the participants to use in their algorithms. But for the evaluation of their algorithms, small perturbations will be added to these nominal gate locations. The resulting perturbed gate locations are used in the evaluation runs, but are not known a priori to the autonomy algorithms. The bounds on the gate location perturbations are known to the contestants and can be read from the ROS parameter server (see README_v2.md). The figure below shows a snapshot of the Test 3 Challenge Course. Contestants will start in a known starting location in the upper right corner of the figure. Contestants must traverse gates in order along the course marked in red and must finish by passing through the gate in the lower left corner of the figure (gate 6) within a known time limit. Missing a gate does not lead to disqualification, however if contestants miss a gate in the ordering, they forgo the points for that gate and cannot traverse it (for reward) after passing a gate later in the gate ordering. Gate 6 (the finish line) is unskippable and must be traversed in order to complete the course. In the figure below, gate IDs belonging to gates along the race path are marked in yellow. Gate IDs in blue are not part of the race course and will not change in position. The ordering of the gates to traverse will not change. Other obstacles in the environment will not change. For Leaderboard score submission, teams are given all 25 gate perturbation layouts, and they will self-report their scores to HeroX. For Final Testing, teams are not given gate perturbations, and their algorithms will be run and scored by HeroX. The course order is shown in Table 1. Gate 10, 21, 2, 13, 9, 14, 1, 22, 15, 23, 6. Table 1. The ordered list of gates to traverse to successfully complete the course. Figure 2: Shows a screenshot of the Leaderboard/Final Testing Challenge Course in MIT’s FlightGoggles Simulation. Teams can now download the Leaderboard Challenge Course files (challenge_leaderboardtest.zip) and submit their Scores YAML file to the leaderboard for evaluation. The Leaderboard Challenge Course folder contains the 25 YAML files which are slight variations on the above Challenge Course. Teams are expected to test their algorithms on each one of these YAML files and output a Results YAML file per run (as done by the Reporter node). Using the scoring scripts provided, teams can generate the Scores YAML file to submit to the Leaderboard. The Scores YAML file will read, the top 5 scores will be found and averaged, and this final score will be posted on the Leaderboard. The first round on the leaderboard will close at Monday, Feb. 18th at 11:59PM PST, and any submissions will appear on the leaderboard by 9AM PST the following day. After this, the leaderboard will refresh daily until the final deadline. Teams can update their submission multiple times per day, but only their most recently uploaded YAML files will be evaluated and scored. The Final Challenge Course is also based on the above Challenge Course, but teams will not receive the 25 Challenge YAML files, which again are slight variations on the initial conditions. Teams may assume that the stochastic changes will mirror those provided in Leaderboard Challenge Course Challenge YAML files. Additionally, this environment will have ROS Kinetic, OpenCV 3.4, and FlightGoggles already installed for teams. The Flight Goggles catkin workspace with the addition of “scorer.py” in flightgoggles/launch will be sourced. A new Linux user home directory is created. The team’s archive will be unzipped and ‘submission’ folder will be unpacked into the user’s home directory. Note: there is a cut-off for installation time for a team’s algorithm, and it is 1 hour. If a team’s source code takes longer than this to install dependencies, the script will be stopped, and the team will be given an Algorithm Score of 0 points. The score.yaml file will be read, the top 5 scores will be found and averaged, and this final result will be used for the algorithm score. Note: there is a cut-off for the total submission evaluation time (Final Testing steps 5 and 6) and that is 2 hours. If a team’s algorithm takes longer than this to be evaluated, the testing will be stopped, and the team will be given an Algorithm Score of 0 points. Separately, judges will read and score each team’s technical report which will be subsequently used to calculate their total final score for Test 3. It is essential that teams follow the above submission requirements exactly. However, in the event your team makes a small mistake, we have implemented a Submission Checker for Test 3. Each team has the opportunity to try to fix their submission as many times as needed before Monday, April 1st at 12PM EST if their submission fails the algorithm submission testing described above. In the event of a submission failure, your team will receive an email with the error and will have a short window to re-submit. If we suspect teams are abusing this system, it will be investigated and scored accordingly. Can teams utilize the global 3D locations of the gates? As is typical in drone racing, teams know approximately the initial drone and gate locations and must deal with slight variations during the actual race. Teams are challenged to create a single algorithm that can be tested on 25 slight variations of the same Challenge Course. Teams are given Challenge YAML files that indicate the initial location of the drone and gates for each exam and on which team algorithms will be tested. For Leaderboard Testing, teams are given all 25 Challenge YAML Files and self-report their scores. For Final Testing, teams are not given the variations on the Challenge YAML Files, and their algorithms will be run and scored by HeroX. So in general, no, teams cannot utilize the exact global 3D locations of the gates. However, they can approximate it from visual processing and other on-board feedback. Note: AlphaPilot is aware that there is a hack that makes it possible to back-out the exact global 3D locations of gates. Teams are not allowed to utilize this data in their algorithms, and any teams that do so will be flagged during judging. Will we have to do obstacle avoidance? No. Visual-based obstacle avoidance is not needed (course paths are mostly clear of obstacles). That being said, it is possible to crash into things and fail the run. Can teams utilize the stereo cameras? Yes. You can use the photorealistic 60Hz RGB camera feeds – mono and stereo allowed. Will you give teams information about the drone model? More details about the drone (vehicle dynamics, sensor models, specifications, etc.) are added to the GitHub repo. What are some good resources to learn ROS and learn how to add our nodes onto the flightgoogles? I couldn't find the API documentation for FlightGoggles to send http messages over to the simulation. Can I use any ROS API to do that? Will FlightGoggles be updated to depend on the current recommended ROS version ( --rosdistro melodic v.s. --rosdistro kinetic)? We decided to start with Kinetic for stability. MIT will update and maintain flightGoggles in the future. We will consider an update to melodic in the future. However, it will happen after test 3 is completed. Are we allowed to change the camera angle in the FlightGoggles simulator? Can you set the camera angle to something greater than 0? No, we are not allowing teams to change the camera angle. All teams are challenged to use the same hardware setup in AlphaPilot. What data inputs can be used in Test 3? Please see the README file for Test 3 for a complete list of allowed and prohibited inputs. Are the gates disturbances in the IR beacons sensor or in the real position of the gates in map? The gate disturbances are from the nominal position of the gates in the map. Will there by a left/right camera version of the IR beacons in Flight Goggles? In Test 3, it's hard to know when we fly through a gate, without ground-truth data. Can we get an event for us to subscribe to? Unfortunately, we will not provide this for teams as this is not information you would realistically have during a drone race. Will all target gates be vertical, or will there be horizontal gates (flying through vertically)? All target gates in the virtual qualifiers will be vertical for both Test #2 and Test #3. For test 3, will the gates locations (not including the perturbations) be changed for the final test? No, the nominal positions of the gates are the same for both the Leaderboard practice and final tests. The race will be timed from the moment of the drone's first takeoff movement to the time when the drone arrives at the finish gate. From the latest update it would seem that the ROS server is sending a message about the location of each gate. Is the messages sent from the given ROS node providing a x,y from the camera view from the drone's perspective? The "/uav/camera/left/ir_beacons" ROS topic publishes all unoccluded IR beacons within the camera's field of view. This message contains IR marker detections in the image space of the left camera. What are minimum requirements for FiightGoggles video card wise? A Vulkan-supported GPU with >=2.1GB of VRAM. Native Ubuntu 16.04 installation with ROS Kinetic on x86/x64. Virtual machines do not have native access to the GPU and therefore are not supported. nvidia-docker2 does not currently support the Vulkan API and therefore cannot run the FlightGoggles renderer binary (see workarounds in issue #46). Does the flightgoggles simulator take .yaml files as an input or will we have to convert the files? Teams can use the Challenge YAML files as input to FlightGoggles for their own development and testing. However, users of the FlightGoggles simulator should not have to read or modify any YAML files for correct operation of the simulation system. Can you simulate more than one drone? We intentionally did not put support for multi-drone simulation in order to avoid confusion and to keep the initial FlightGoggles code as simple as possible. Before the challenge is done, we will not provide the software for simulating multiple drones. That said, you are able to run multiple instances of FlightGoggles if you would like to conduct several tests, of course. Keras is now a part of tensorflow. Can we use keras to develop the AI model. Solutions need to be compatible with the algorithm and testing requirements. Otherwise, there are no restrictions on the approach and libraries teams can use to develop their solutions. If you have any specific questions on Test #3, please comment in this forum thread.